So I asked if I could copy her idea in our laundry room. It took a while to really figure it all out, but man oh man, it just might be my favorite floor in our house. This is before grout...I'll post a real pic. soon, but just had to share. this is gorgeous!!! so creative. 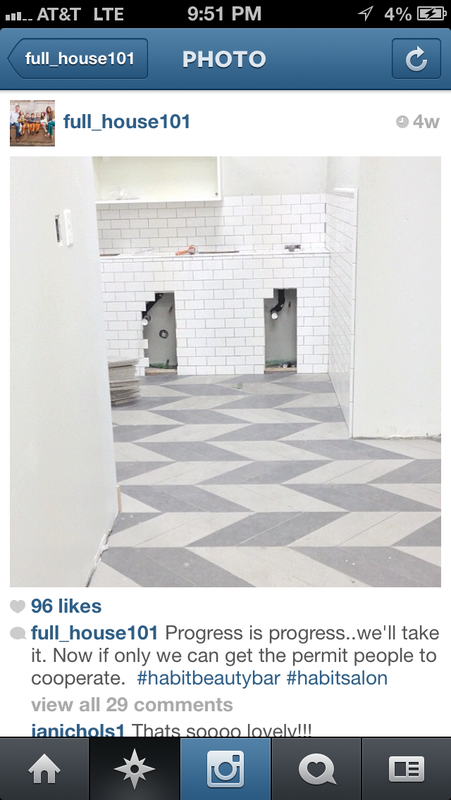 Cannot wait to see it with the grout! I love how each room is unique. Is that the wood tile? That looks so cool! I love it! so fun! I love that detail! Shawni, i enjoy seeing your creativity in your families new house design. I am in love with this door and thought it would be awesome somewhere in your house. Probably in a different tone reclaimed wood to match what you have. But they look awesome. This is so fun to watch the process - thanks for taking the time to post! I am loving your house! This HOME blog is like a great book and I look forward to each chapter with bated breath. I'm dying for an update! Please, anything - a little crumb! Oh, yeah, love the floor. I check everyday to see if this has been updated. I'm dying to see the house! Hi Shawni! I'm up in Flagstaff, my husband and I have finally (FINALLY) started our owner builder home. 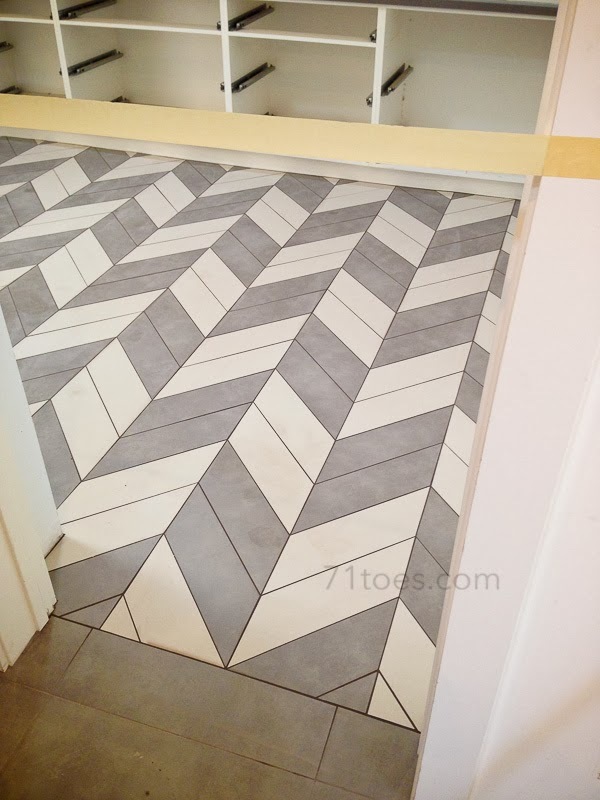 I have been pouring over your new build the last few hours...can you tell me what tiles were used for this? I would love to do this in my upstairs laundry room. And who made your kitchen and bath cabinets? I'm thinking of doing ikea boxes and custom fronts but I'm not sure. Your house looks amazing, I bet you are smiling every day in your house! Also, another question....after building your home are there any things you would've done differently? Anything you absolutely love?